A few weeks ago, I wrote a short post abut how some people had found my blog by searching ‘depressed quotes’! Yay! 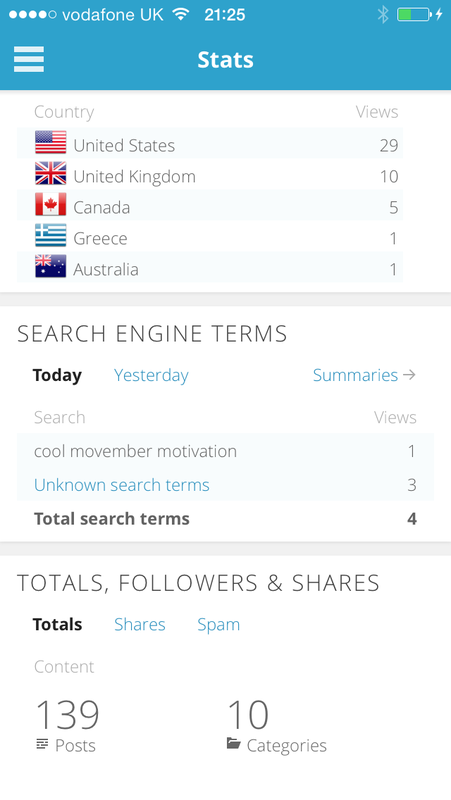 Cool Movember motivation? That’s more like it! It’s ‘fess up time. I’ve had some late nights this week, and so my POTM has slipped. I’m about 10K off target, which is not good; but is entirely recoverable, I hope! How are you doing with your November challenges? My weirdest one was too rude to ever post, and it left me wondering what on earth I’d posted about to turn up in that particular search! Too funny! I had someone find me with “how to use my iPhone5”..that was super random. And yesterday “Bernal Heights Runner Girl”- I guess there is a girl that runs in her bikini along one of the same paths I use so my blog comes up when you search for her! They must be motivated by your thick and luxurious mustache! Sounds good! Just read your catch-up on Facebook, so I may try to join in!